Drivers: HPF electronic drivers for 120-277V (EU-240V), 0-10V, 1% dimming. Remote Mounting Of Drivers: Wire size 18 AWG - max distance (from fixture to drivers) 40', wire size 16 AWG - max distance 60', wire size 14 AWG - max distance 90'. Drivers must be accessible after installation. 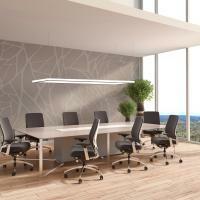 Mechanical: Luminaires attached directly to the J box (by others - North America only). Approvals: Damp Location (Indoor use only). Calculate total lumens and wattages by adding the Length lumens to the Width lumens. 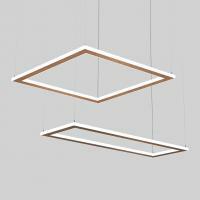 For example: 36" length x 48" width = 4780 + 6372 = 11152 total lumens. PR0 not available with 982415. Custom percentages available upon request.